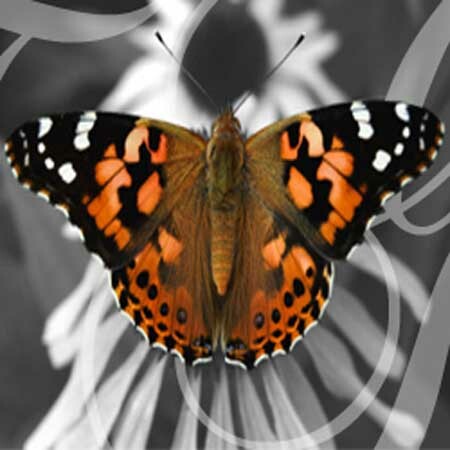 ﻿ 75 Painted Lady Butterflies - A Butterfly Release Company, Inc. - Live Butterfly Available Now. 75 painted lady butterflies with personalized individual envelopes. A total of 75 personalized origami envelopes to hand out to your wedding party and guest to all participate and release butterflies together. Your choice of envelope color and personalized inscription included. Or you can add a a mass release to your package. (USDA max without special permit) All butterflies are shipped FedEx priority overnight to arrive the day before your event. Shipping is in addition to the package price.